Sarah had planned to be at a friends house for the night and her two daughters were to stay with a neighbor until her husband Pete returned to pick them up. He and three of his field workers had gone up to Top Meadow to check on Pete’s sheep herd. But, unknown to Pete, his daughter Jose came down with a sore throat and Sarah decided to stay home with her children. Sarah had tried to call Pete to tell him that she was with the children but couldn’t get through. The only sound coming through her cell phone was static. Apparently the hills were blocking the signal. Sarah wasn’t that concerned knowing that Laura would tell Pete that the kids were with her at home. But as the hours passed, Sarah started to worry about Pete absence. It was getting late and he always called when knew he would be delayed. As she stood outside their home watching for his headlights to come up the road, she noticed a strange light hovering over the valley. As the light died out a green mist rolled in. Fear rose in Sarah as she stood watching. Everything was so still and quiet. Nothing was moving, not even the cows in the field. As Sarah’s fears increased she went in to check on her sleeping daughters. They had slept through the whole phenomenon but to ease some of her worry and fear she decided to spend the night in their room. Surely, by the time morning came, Pete would be in their own room sound asleep. The next morning Pete was still missing. Sarah phoned her friends and neighbor in hopes that someone would know something about, not just Pete, but also the lights from the night before. But her calls were unanswered. In hopes of finding someone to ease her fears for Pete, she loads the girls into her car and headed down to the valley. She hadn’t gone far when she runs across Dave. Dave had been with Pete the day before and informs her that Pete, as well as everyone else from the valley, is dead. While telling her his story, Sarah started noticing that his flesh was melting from his body. His dying words to her is a warning to not touch anything nor anyone. In Sarah’s attempt to find someone to help her and explain what has happened she drives to the next town to speak with the police there. Andy, the young constable on duty, actually believes she has lost her mind as she describes what she has seen. But when his superior comes in and hears about the death of Dave, who is one of his best friends, he heads to the valley to check it out for himself. As Sarah and Andy wait for his return, the military show up with full protective suits and weapons. And when they asked for Sarah by name, something tells Andy that he should take Sarah’s story seriously. He also fears for her safety with these men and tells the Sergeant that Sarah had gone back to her home and that the woman and children there with him are his own wife and kids. As the military unit leaves, he convinces Sarah that their life in in danger and they must leave immediately before they come back. When I was a child, my family moved to Utah. I remember two nights that a neighbor came to warn us of the lights in the sky. The first night she knocked on our door around midnight. She was yelling and crying, trying to tell us there was a burning ball of light in the sky. The next night she came to tell us there was a burning rod of fire in the sky. Both nights we all went outside to see these lights for ourselves. And both nights we saw exactly what she saw. I can remember being scared but I couldn’t take my eyes off the lights as they moved across the sky. Later we were told the lights were experimental air crafts being tested by the military. I never really believed that story, but after reading The Trojan Project, I think I believe it now . Creating Cedar Valley Residence was a dream come true for Belinda Jones and her brother Bernard. They had spent five years making sure each room and suite was perfectly decorated to create a feeling of comfort and welcome. Now it was time to add a new addition, which would create space for more residents and allow Belinda and Bernard to start turning a profit in the near future. Cedar Valley residents were a hodgepodge of ages and personalities that had all become family to Belinda and Bernard. One special resident was Miss Shirley, who had appeared a year before with a bewildered look on her face, broken glasses perched on her nose, no identification and a pile of cash in her purse. Even after putting ads in the newspaper, talking to the police and tacking fliers on telephone poles, no one knew who she was nor where she had come from. The doctors assured Belinda that Miss Shirley had temporary amnesia and that she would probably come out of it at some point in time. So when Miss Shirley asked for a meeting with Belinda to inform her that her money had run out and she would be moving, Belinda was rightfully concerned. Miss Shirley also told Belinda that she was missing her favorite Chinese print scarf, which Belinda felt had probably been misplaced and would turn up later. But as more residents informed Belinda that they too have missing items, her concern started to grows. Does she really know her residents? Could one of them be a thief? She had to get to the bottom of this thief mystery before it really started hurting business. Belinda had always thought she would enjoy becoming a detective and had actually helped solve a few minor crimes in the past. So to add to her task of catching the person responsible for items missing from Cedar Valley, she’s approached by Olive Norris. Mrs. Norris comes in hope that Belinda will find enough evidence to free her son Kirby who was arrested for the murder of his wife. The case against Kirby appeared to be an open and shut case. Items of clothing and the gun used to kill Lana Norris were found in Kirby’s car. After meeting with Kirby and hearing his story, Belinda believes in his innocence and decides to take the case. But after another murder is committed, plus an attempt on the life of someone dear to Kirby, Belinda begins to wonder if she has taken on more than she can handle and can she solve this case before anyone else has to die. Uncle Si’s Secret is full of secrets. M. M. Gornell kept me guessing throughout the whole book. Every time I thought I knew the identity of the thief and the murder, Gornell would surprise me with a new twist proving my theory to be wrong. I thoroughly enjoyed reading Uncle Si’s Secret and I think you will too. I will give you a small clue. The thief will really surprise you. It sure did me. A 111-year-old mystery — people who vanished ten years before the new millennium — the first space-exploration star-ship, Earth Star-I, lost in deep space fifty-one years later — Is there a connection between these unexplained disappearances, and a village situated along the rocky coast of New England, a place out of time, called Sarah’s Landing? Joshua Morgan, the Astronaut/Biologist scratched from the ill-fated space flight, had the determination to seek out the answers. Working out of the Space Intelligence Command in Houston, Texas, his investigation leads him to long-forgotten secret government archives in Washington, DC, and to a little-known underground chamber in the old uranium storage caverns along the Colorado River in Utah. Slowly, almost magnetically, he is drawn to Sarah’s Landing. Stories told by the local townspeople of the Founders’ House, and of the strange going’s-on within, draw him to the site over the objections of a redheaded telepath, Alexandra McKay, who interests him greatly. Little does he realize his quest will take him to the far reaches of space and to an alien planet no one knew exists. The story takes place in the year 2055 and weaves around Sarah’s Landing, one of the last vestiges of an earlier era. Unknown to most of its inhabitants, it maintains an unusual bond with an alien city, in an undiscovered galaxy thousands of light years away, on a planet where a race of aliens possess telepathic, telekinetic, psychic abilities more powerful and far-reaching than anyone could have imagined. In his search for answers Joshua falls deeply in love with Alexandra, who senses danger in his life. Soon after his disappearance, the first inkling of an alien bond manifests itself in her dreams. Trying desperately to find him, Alexandra enlists the aid of Joshua’s friend, Lt. Henry (Harry) Jacobsen, a Navy Lieutenant who is quickly smitten by her. A quadrangle develops when the main characters, Joshua, Alexandra, Harry, and the alien leader’s daughter, Adrianne, are helplessly caught in the entanglement of an affair that spans two different planets light years apart. Joshua discovers that his love for the two women, results in the birth of two sons— siblings — one from the alien planet Theon, and one from Earth, empowered with mind-linking capabilities. This phenomenon results in detection by an ominous dark force whose threatening presence is overcome by the interconnecting relationships of the people of the Planet Theon and Planet Earth. 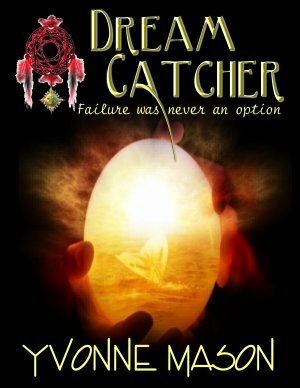 This sci-fi tale is a perfect blend of fantasy, mystery, and romance working together in a most seductive way. The peaceful setting of this New England coastal village is anything but what it seems. Dark forces are at work breaking down the barriers of two separate worlds. Its rich characters will draw you in as they struggle to find answers to a century old mystery they believe is a connection between our own planet and one called Theon. Sarah’s Landing is the first in a four part series, and as such leaves the reader begging for more. The characters are real and complex, driven by compassion and loyalty. But where their loyalties lie is another matter. The plot is intriguing and spun in true sci-fi fashion. All the elements of a wondrous tale are here as Elena keeps the reader in suspense from beginning to end. I can’t wait to read book II, The Telepaths of Theon. Even those who are not sure they are science fiction fans may be swept up in Sarah’s Landing-I, a spellbinding tale which takes the reader from the rocky shores of a small New England town to a planet in an undiscovered galaxy thousands of light years away. The wonder of it is that the author has managed to tell the tale of astronaut/biologist Joshua Morgan so convincingly. Her down-to-earth approach, soaring imagination and her expertise in software engineering are a winning combination. The kinds of experiences that her characters encounter have the ring of truth to them. Set in the year 2055, the book centers around the hero’s attempts to solve the 111-year-old mystery of people who vanished 10 years before the new millennium, and the loss of the first starship, Earth Star-I which vanished 51 years later. This fast-paced novel, which incidentally, is also a first-rate love story, will undoubtedly pull readers in. Bowman’s powers of description are second to none. Here is a book that is difficult to put down ? a real page turner. Elena has co-written and published through Lulu.com, two other non-fiction books. One with her husband, James; */The Continuum/*, and a biographical one with her brother Alfred, */Military Justice-Denied,/* which is a limited private release. Her prize winning short story */Canollies For Christmas/* was published in /The Lowell Sun/. She has also co-written and co-produced a Musical Workshop, which was performed at the /Merrimack Regional Theater/. The Mother of four and Grandmother of one, she lives in Massachusetts with her husband. 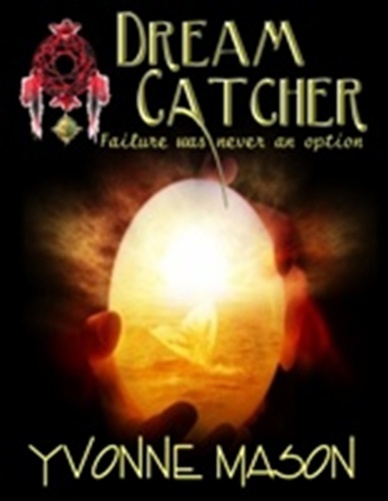 Excerpts and reviews of all my novels can be viewed on my website: http://elenadb.home.comcast.net. I literally read this book from start to finish without taking a break. It’s apparent that the author, Yvonne Mason, did an extensive amount of research to create this literary masterpiece. In this day and age our crime investigators have such resources as ‘DNA’ ‘Behavioral Science’ and ‘Profiling’ to help assist in their investigations… not so in 1973. Through this brilliant literary piece the author takes the reader back in time, to 1973, and gives the reader an ‘in depth’ look inside the mind of a prolific serial killer known as ‘Gerard John Schaefer.’ The reader must be warned, much of the material is disturbing and graphic in nature. However, I’m a firm believer that the repetition of violence causes we as a society to become desensitized, callous towards victims of such tragedies. In writing ‘Silent Scream’ the author introduces the innocent victims one by one, revealing each of their personalities, giving them a voice to be heard. Through transcripts and letters the author takes you into the courtroom so you can experience the trial of this notorious killer, giving great detail to specifics that at last lead up to his conviction. For me, reading ‘Silent Scream’ was an eye opening experience. It reminded me how vulnerable we truly are, especially our young children. 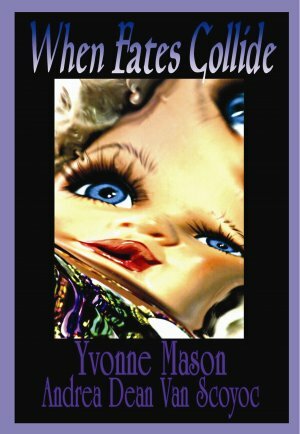 “Silent Scream” is an impeccable work of literature, expressed with sensitivity, written by one talented writer, ‘Yvonne Mason.